Financial Issues: The Kumbha Rasi (Aquarius sign) natives would continue to enjoy favourable results on their financial issues during the entire period. Career: The Kumbha Rasi (Aquarius sign) natives needs to be careful while dealing in any professional matters during the entire period. The Kumbha Rasi (Aquarius sign) natives may not get any tangiable results. Working Environment: The Kumbha Rasi (Aquarius sign) natives may have mixed experiences at their workplace. But they are likely to get some positive results from 3rd to 9th February 2014. Profits & Incomes: The Kumbha Rasi (Aquarius sign) natives would continue to enjoy favourable results on their income issues during the entire period. Debts & Borrowings: The Kumbha Rasi (Aquarius sign) natives needs to be cautious from 5th to 9th February 2014; and also from 12th to 14th February 2014. Expenses: The Kumbha Rasi (Aquarius sign) natives would be able to control their expenditures despite facing many hurdles. Financial Issues: The Kumbha Rasi (Aquarius sign) natives would see a gradual improvement from 23rd December 2013 on the issues that are related to their finances. Career: The Kumbha Rasi (Aquarius sign) natives may remain uncomfortable with their career related issues, but they are likely to get positive results from 16th to 22nd December 2013. Working Environment: The Kumbha Rasi (Aquarius sign) natives would remain comfortable with their working environment during the entire period. But their relationship with fellow colleagues would remain comfortable from 16th to 19th December 2013; and also from 26th to 31st December 2013. Profits & Income: The Kumbha Rasi (Aquarius sign) natives would see a gradual improvement on their profit levels from 23rd December onwards. Debts & Borrowings: The Kumbha Rasi (Aquarius sign) natives must be careful about their dealings on matters related to debts from 20th to 22nd December 2013; and also from 25th to 28th December 2013. Expenses: The Kumbha Rasi (Aquarius sign) natives would be able to have a reasonable control over their expenditures during the entire period. Financial Issues: The Kumbha Rasi (Aquarius Sign) natives may not be satisfied with their financial results during the entire period. Career: The Kumbha Rasi (Aquarius Sign) natives needs to be careful on their professional issues during the entire period. But they are likely to get some positive results on 1st, 2nd, 10th to 15th December 2013. Working Environment: The Kumbha Rasi (Aquarius Sign) natives would experience mixed results on managing ties with their colleagues or business partners and would feel moderately comfortable from 1st to 5th December 2013; and also from 13th to 15th December 2013. Profits & Income: The Kumbha Rasi (Aquarius Sign) natives may be disappointed with their income levels during the entire period. Debts & Liabilities: The Kumbha Rasi (Aquarius Sign) natives would be able to manage their debts/borrowings without much difficulty. Expenses: The Kumbha Rasi (Aquarius Sign) natives would experience mixed results in controlling the expenses. They would feel positive on controlling the expenses from 4th December 2013 onwards. Financial Results: The Kumbha Rasi (Aquarius Sign) natives would either feel stagnant or feel slightly disappointed with their financial position. Career: The Kumbha Rasi (Aquarius Sign) natives would enjoy comfortable position and expected results on their professional issues. Profits & Incomes: The Kumbha Rasi (Aquarius Sign) natives may not feel comfortable with their profit margins during the entire period. Debts & Borrowings: The Kumbha Rasi (Aquarius Sign) natives needs to be little alert on debt or borrowing related issues from 18th, 19th, 23rd, 24th, 27th to 30th November 2013. Expenses: The Kumbha Rasi (Aquarius Sign) natives would find it difficult to control their expenses despite hectic preparations made by them. Financial Results: The Kumbha Rasi (Aquarius Sign) natives would experience a stagnant position on their financial issues during the entire period. Career: The Professional issues would deliver mixed experiences for the Kumbha Rasi (Aquarius Sign) natives. But they may not be satisfied with their career results from 3rd to 14th November 2013 too. Profits & Incomes: The Kumbha Rasi (Aquarius Sign) natives would experience stagnant position on their income levels during this entire period. Debts & Liabilities: The Kumbha Rasi (Aquarius Sign) natives must be alert while dealing with any liability related matters from 1st to 4th November 2013: and also from 7th to 12th November 2013. Expenses: The Kumbha Rasi (Aquarius Sign) natives would experience drastic increase in demand for huge expenses especially after 5th November 2013. Financial Results: The Kumba Rashi natives may not be comfortable with their financial issues from 23rd September 2013. Career: The Kumba Rashi natives may be able to get some positive results on the career related issues from 21st to 24th September 2013. Thereafter, they must get ready for a possible slowdown. Debts: The Kumba Rashi natives must be careful about their debt related issues from 24th to 26th September 2013; and also 0n 29th and 30th September 2013. Expenses: The Kumba Rashi natives would continue to enjoy full control over their expenses. Family Relationship: The Kumba Rashi natives needs to take extra care on managing the ties with their family members from 23rd September 2013. The Kumba Rashi natives would manage better ties with their children from 23rd to 27th September 2013, despite having many differences. The Kumba Rashi natives The Kumba Rashi natives needs to be careful while handling the ties with their life partner. But they would be able to narrow down their differences after 24th September 2013. The Kumba Rashi natives would enjoy better ties with their relatives between 21st to 23rd September 2013; and also from 27th to 30th September 2013. Health: The Kumba Rashi natives must be careful about their health related issues from 24th to 26th September 2013. Financial Issues: The Kumbha Rasi would experience stability and feel comfortable on their financial issues during the entire period. Career: The Kumbha Rasi would face many difficulties in their career. But they manage it successfully and derive the expected results. Debts: The Kumbha Rasi would face fluctuating results on managing their liabilities. They would feel comfortable on 11th, 12th, 19th and 20th September 2013. Expenses: The Kumbha Rasi would continue to experience substantial reduction on their expenditure levels. Family Relationship: The Kumbha Rasi would continue to enjoy stronger ties with their family members. The ties with their life partner moves in a positive direction and would enjoy good ties from 11th to 16th September 2013. They would feel positive on maintaining good ties with their relatives from 15th to 20th September 2013. Health Issues: The Kumbha Rasi would enjoy healthier lifestyle for the entire period; and would feel very positive from 15th to 20th September 2013. Financial Issues: The Kumbha Rasi would experience a favourable position on their financial matters for the entire period. Career: The Kumbha Rasi may not feel comfortable on their career related issues; and it is better, they should be little alert too during this period. The Kumbha Rasi would get some positive results on their profession from 9th September 2013. Debts: The Kumbha Rasi needs to be careful on handling any debt related issues from 2nd to 4th September 2013; and also on 7th and 8th September 2013. Expenses: The Expenses are successfully managed by the Kumbha Rasi during this entire period and the expenditure level remains very low. Family Relationship: The Kumbha Rasi would enjoy a normal and comfortable relationship with their family members. But the ties with the life partner remains uneasy from 3rd September to 9th September 2013. The Kumbha Rasi may experience difficulties on managing the relationship with their life partner. Health: The Kumbha Rasi would face difficulties on their health issues and they need to be very alert during the entire period. The Kumbha Rasi would see some positive results on 7th and 8th September 2013. Financial issues: The Aquarius would experience positive growth and feel comfortable on their financial issues for the entire second half of the month of August 2013. Career: The Aquarius are likely to experience fluctuating results on the career related issues. The Aquarius would feel stagnant or would experience negative results on their career related issues from 19th August to 23rd August, 2013; and also on 30th and 31st August, 2013. Debts: The Aquarius would always experience fluctuating results on their debts/borrowings related issues. The Aquarius might feel uncomfortable on the debt related issues from 17th August to 22nd August, 2013; and also from 28th August and 29th August, 2013. Expenses: The Aquarius would reduce the expenses in a significant manner for the second part of the month August 2013. Family Relationship: The Aquarius would experience strong ties with their family members for the entire period (second part) of this month August 2013. The Aquarius may face difficulties on maintaining ties with their relatives; also it faces some fluctuations too. The ties with the life partner remains stronger, but it may fluctuate between 20th August to 23rd August, 2013. Health: The Aquarius are likely to experience mixed results on their health related issues. The Aquarius must take care of their health issues especially from 20th August to 22nd August 2013. In general, they must be very careful about their health issues for the entire part of second half of August 2013. Financial Issues: The Kumbha Rasi is likely to benefit moderately on their financial issues for the first half of this month August, 2013. Career: The Kumbha would feel comfortable in their career and likely to get fluctuating results too. The Kumbha would get favourable results from 1st August to 8th August, 2013. Debts: The Kumbha is likely to experience mixed results on the debts or borrowing related issues. But the Kumbha Rasi natives should be careful on their debts related issues from 1st, 2nd, 5th to 7th, 10th to 12th August 2013. Expenses: The expenses are likely to remain stable, but high. But the expenses are likely to benefit the Kumbha Rasi natives too. Property Issues: The Property issues are likely to give moderate benefits only. But on 4th and 5th August 2013, the Kumbha Rasi would find the property issues go in their favour. Family Relationship: The Kumbha Rasi would develop differences with life partner; hence they must be careful about their relationship between 7th to 13th August, 2013. The Kumbha Rasi would experience normal ties with moderate results on their family relationship. But the ties with their relatives remain fluctuating. Health: The Kumbha Rasi should be careful about their health on 1st, 2nd, 5th to 7th and 10th to 12th August 2013. Financial Issues: The financial issues remains moderate during the entire period of this month. But from July 30th, 2013 the Aquarius are likley to face some stagnations. Career: The Aquarius are likely to get expected results on their career related issues from July 22nd to July 24th, 2013 and also from 30th July to 31st July 2013. Rest of the days, the Aquarius are likely to get mixed results. Debts: The Aquarius may not feel comfortable on their debts or borrowing related issues from July 22nd to July 25th, 2013. Thereafter the debt related issues remain favourable till 30th July 2013. Expenses: The Aquarius would either have lesser expenses or manage the expenses in a successful manner. Property Issues: The Aquarius are likely to enjoy strong position on their property related issues 25th July 2013. Thereafter the Aquarius would not be meet their expected levels. Family Relationship: The Aquarius would be comfortable on their family ties till the end of July 2013. The Aquarius could develop difference of opinion with their life partner till the end of July 2013 and the ties remain fluctuating too. The ties with the relatives become stronger from July 22nd to July 25th, 2013. Health: The health issue remains within the comfortable limit and gives mixed results till the end of this month. Financial Issues: The financial dealings would bring moderate results only and you might feel some stagnation on the financial issues. Career: The Career would bring some moderate results; but from 19th July 2013, you would experience positive growth till the end of this week. Debts: The debts or borrowing issues remain unfavourable t tho you till the noon of 18th July 2013. Afterwards, you would be able to effectively manage your debts or borrowing issues till 20.07.2013. Expenses: You would handle the expenses in an effective manner. For the whole of this week, the expenses remain under your control. Health: Though the fundamentals remain stronger, you may certain health issues till 17th July 2013. After 18th July 2013, you would experience improvements on your health issues. This would produce mixed results on your health. Family Issues: You would experience fluctuating results on maintaining the ties with your family members. Though the ties do not face any pressure, you will not feel comfortable too. You would feel both the differences and also the strengthening of the ties with your life partner. Property Issues: The property issues would give a fluctuating results during the entire part of this week. Till 17th July 2013, the situation would be completely unfavourable too. Financial Issues: You enjoy comfortable financial position throughout the whole of this week. Career: Barring 8th and 9th July 2013, you will feel comfortable and remain positive on your career. Debts: You need to be cautious on 9th, 10th, 11th and 14th of this week on any matters that are related to debts or borrowings. Expenses: You would come out highly successful in controlling the expenses for the whole of this week. Health: You enjoy hale and healthy lifestyle for the whole of this week. But on 13th and 14th July, you need to be cautious too. Family Relationship: Barring few differences, you would be comfortable with your family relationship. You need to be little cautious on 8th July 2013 on dealing with your life partner. Property Issues: You are likely to get mixed results on any property/realty related issues; it is better to avoid taking important decision on this week. Financial Issues: From July 2nd onwards, you would experience positive growth on your financial position for the rest of the week. But you may face fluctuating results on keeping the expenses under your control. You may opt for new loans or borrowings or the debt situation becomes little unbearable from 4th July to 6th July 2013. Otherwise the debt/borrowing issues do remain under your control. Career: You may not be satisfied with your career or business results for the whole of this week. You need to be alert and go-slow on every issues that are connected to your career. Health: You are advised to take care of your health; and in particular, you need to be extra vigilant from 4th July to 6th July 2013 about getting discomforted on certain health issues. Family Relationships: From 2nd July 2013, you would experience improved ties with your family members. From 3rd July 2013, the relationship with your life partner moves in a positive direction. But you might face some pressures on keeping good ties with your children and the family elders. Property & Vehicle: You must completely avoid taking any important decision on any matters that are related to property/vehicles/travelling, since the week does not show any favourable results. The Shani comes out of its retrograde movement on May 7th, 2013. The Shani owns the 1st and 12th house for the Kumbha Rasi (Aquarius sign). The Kumbha rasi is itself owned by the Shani. The 1st house is highly benefice and 12th is malefic in nature. Since the Shani has the lordship over the Kumbha Rasi (Aquarius sign), it will try to deliver maximum benefits to them. The Shani is placed in the Thula rasi, which is the 9th house to the Kumbha Rasi (Aquarius sign). This position would deliver the best results for the Kumbha Rasi (Aquarius sign) during this period. Let us analyze the Shani Peyarchi Palangal results for the Kumbha Rasi (Aquarius sign) in the year 2013. The Kumbha Rasi (Aquarius sign) would enjoy best moments and good rapport with their family members. The Kumbha Rasi (Aquarius sign) would actively involve themselves in many social and spiritual activities. They would experience huge expenses too; but all the expenses would go for auspicious reasons only. The Kumbha Rasi (Aquarius sign) would enjoy good diet and needed rest; some of them enjoy satisfactions on their sexual relationships. This period would see huge improvements in the personal relationship of the Kumbha Rasi (Aquarius sign) natives and make them enjoy happier moments with their family members. The Kumbha Rasi (Aquarius sign) would face increased expenses to be spent on auspicious reasons. They actively involve themselves on social and spiritual matters. The Kumbha Rasi (Aquarius sign) would enjoy their basic and sexual comforts in the life. This period would experience a perfect management on their expenses side. The Kumbha Rasi (Aquarius sign) would experience small vacuum on maintaining the ties with their family members. The Kumbha Rasi (Aquarius sign) would experience difficulties in managing their basic comforts. The Shani gets eclipsed on 24th October 2013. This position would make the Shani powerless. The Kumbha Rasi (Aquarius sign) would face some unplanned expenses or the expenses level may go up. The Kumbha Rasi (Aquarius sign) would be devoid of managing their basic comforts like proper food and rest. The Kumbha Rasi (Aquarius sign) would find it difficult to concentrate on social and spiritual activities. The Kumbha Rasi (Aquarius sign) could face some unplanned or sudden expenses. They would find it difficult to meet their basic comforts like needed rest and proper diet. The Kumbha Rasi (Aquarius sign) could miss or may not be able to involve themselves in spiritual and social issues. On November 24th, the Saturn rises in the east. There would be some relief on controlling the expenses, but that may not be very significant. The Kumbha Rasi (Aquarius sign) would able to look after their basic comforts despite the pressures on them. The would see some marginal improvements on maintaining the rapport with their family members. The Kumbha Rasi (Aquarius sign) would see positive changes and strengthening of ties with their family members. They would actively involve themselves in social and spiritual activities. The Kumbha Rasi (Aquarius sign) would enjoy their basic comforts and also from their sexual relationships. The Kumbha Rasi (Aquarius sign) may not face any unplanned expenses, but may have to spend on regular expenses. 1. You must read both the Shani and Guru peyarchi results in a concurrent manner to understand the basic idea about the type of lifestyle that you are going to enjoy in the year 2013. 2. Please understand that the Shani Peyarchi results should be read in close coordination with your Mahadasa results. 3. If you are passing through favourable Mahadasa periods, the negative inputs in these Shani Peyarchi predictions will not bring in more damages. 4. If you are passing through any unfavourable Mahadasa periods, then the negative inputs in the Shani Peyarchi predictions could add to the existing pressures. 7. For Personalized reading of your horoscope, please contact the Author MEGANATHAN. G. Overseas readers, please pay through PAY PAL to get online discussions. இந்த 2013 வருடம் வெள்ளிக்கிழமை மே மாதம் 31 தேதி (வைகாசி 17) அன்று காலை சுமார் 8 மணி அளவில் திருக்கணித பஞ்சாங்கப்படி குருவானவர் ரிஷப ராசியில் இருந்து மிதுன ராசிக்குள் பிரவசிக்கிறார். சுமார் ஒரு வருடம் அவர் மிதுன ராசியில் சஞ்சரிக்கிறார். கும்ப ராசிக்கு குரு 11வது மற்றும் 2வது வீட்டிற்கு உரியவர். இரு வீடுகளுமே நல்ல வீடும் இல்லை, அதே போல கெட்ட வீடும் அல்ல மேலும் மகர ராசியின் அதிபதியான சனியும் குருவும் நண்பர்களும் இல்லை, அதே போல விரோதிகளும் இல்லை. இருவரும் ஒருவரை ஒருவர் சமமாக கருதுபவர்கள். ஆகவே குரு கும்ப ராசிக்கு சுபரும் இல்லை அதே போல பாபரும் இல்லை. ஆகையால் குரு நல்ல இடத்தில் இருந்தால் நல்லதை செய்வார். அதே நேரத்தில் கெடுதலான இடத்தில இருந்தால் கண்டிப்பாக கெடுதலான பலனை செய்யாமல் விட மாட்டார். இப்பொழுது குரு பிரவசிக்கும் இடம் மிதுன ராசியாகும். மிதுன ராசி புதனுடைய வீடு ஆகும். புதன் குருவை சமமாக கருதுபவர். குரு புதனை எதிரியாக கருதுபவர்.ஆகவே குரு பகை என்ற நிலையில் பலமற்று மிதுன ராசியில் உள்ளார். ஆனால் மிதுன ராசி என்பது கும்ப ராசிக்கு மிகவும் நன்மையை தரக்கூடிய 5வது வீடு ஆகும். ஆனால் 11வது வீட்டிற்கு 7வது இடம் என்பது 5ம் இடம் ஆகும். 11வது வீட்டினை லாப ஸ்தானம் என்று அழைக்க படுவது உண்டு. குருவின் இந்த பலமற்ற நிலையால் 11வது மற்றும் 2ம் வீட்டிற்கு உரிய நல்ல பலனை முழுமையாக செய்ய முடியாமல் போய்விடும். மொத்தத்தில் 2013 குரு பெயர்ச்சி கும்ப ராசிக்கு கண்டிப்பாக கெடுதலான பலனை தராது. அதே நேரம் யோக பலன்கள் சற்று குறைவாக காணப்படும். இப்பொழுது நாம் 2013 வருடத்திற்க்கான குரு பெயர்ச்சியின் பலன்களை நாம் பார்ப்போம். கும்ப ராசியினர் மூத்த சகோதர உறவுகளில் இருந்து வரும் சில மன வருத்தங்களை சரி செய்வதில் வெற்றியும் காண்பார்கள். தொழிலில் நீடித்த குறைந்த லாப விகிதாரத்தினை கூட்டுவதில் வெற்றியும் காண்பார்கள். இது பொருளாதார நிலையை சற்று வளப்படுத்தும். குடும்ப உறவுகளை சீர் படுத்துவார்கள். முயற்சி செய்தாவது கொடுத்த வாக்கினை காப்பற்றுவார்கள். குரு 08.06.2013 அன்று அஸ்தமனமாகிறார். இந்த காலத்தில் குருவால் கிடைக்கும் நல்ல பலன்கள் அனைத்தும் தடைப்படும். மேலும் கும்ப ராசி மற்றும் கும்ப இலக்கின மக்கள் அனைவரும் நல்ல நிகழ்ச்சிகள் நடத்த வேண்டாம் என்று கேட்டு கொள்ளப்படுகிறார்கள். 02.07.2013 அன்று குரு மீண்டும் உதயமாகிறார். லாபங்கள் எதிர்பார்த்த அளவு இருக்காது. இதனால் பொருளாதார நிலையில் சற்று பின்னடைவு ஏற்படும் குடும்பத்தில் சற்று குழப்பமான நிலைமை உண்டாகும். கொடுத்த வாக்கினை காப்பாற்ற முடியாமல் போகலாம். மூத்த சகோதர உறவுகளில் சற்று இடைவெளி உண்டாகும். கும்ப ராசியினர் எதிர் பார்க்கும் லாபங்கள் கிடைக்க ஆரம்பிக்கும். கொடுத்த வாக்கினை கும்ப ராசியினர் முயற்சி செய்து நிறைவேற்றுவார்கள். பொருளாதார நிலையில் இது வரை இருந்து வந்த மந்த நிலைமை மாரி கும்ப ராசியினருக்கு திருப்தி அளிக்கும். குடும்ப உறவுகள் சீரான நிலையில் இருக்கும். மூத்த சகோதர உறவுகள் சற்று திருப்தியான நிலையில் செல்லும். லாபங்கள் பெரிய அளவு சரிவை சந்திக்கும். ஆதனால் பண பரிவர்த்தனைகள் சற்று சிக்கலான சூழ்நிலையை சந்திக்க நேரிடும். இந்த நேரத்தில் கும்ப ராசியினர் யாருக்கும் வாக்கினை கொடுக்காமல் இருப்பது நல்லது. குடும்பத்திலும் உறவுகள் மத்தியில் இடைவெளி உண்டாகும். மூத்த சகோதர உறவுகள் சற்று பின்னடைவை சந்திக்கும். கும்ப ராசியினர் மீண்டும் சாதகமான சூழ்நிலையை அனுபவிப்பார்கள். பொருளாதாரம் மற்றும் குடும்ப விசயங்களில் இது வரை இருந்து வந்த நிலை மாறி சற்று சாதகமான போக்கு தென்படும். ஆனால் கும்ப ராசியினர் எதிர்பார்க்கும் சூழ்நிலையும் மொத்தமாக மாறுவதற்கு வாய்ப்புகள் மிக குறைவு. லாபங்கள் எதிர்பார்த்த அளவு வர ஆரம்பிக்கும். ஆக கும்ப ராசியினரின் பொருளாதார நிலை சற்று சீர் அடையும். கும்ப ராசியினர் கொடுத்த வாக்கினை காப்பாற்றுவார்கள். மூத்த சகோதர உறவுகள், குடும்ப சூழ்நிலை முற்றிலும் சாதகமாக மாறும். மீண்டும் லாபங்கள் எதிர் பார்த்த அளவு இருக்காது. இது கும்ப ராசியினரின் பண விசயங்களில் சற்று பின்னடைவை ஏற்படுத்தும். மேலும் குடும்ப விஷயங்களில் சற்று குழப்பமான நிலை ஏற்படும். மூத்த சகோதர உறவுகளில் சற்று இடைவெளி உண்டாகும். கொடுத்த வாக்கினை சற்று போராடி நிறைவேற்ற வேண்டும். குரு இந்த காலத்தில் வக்கிர நிலையை அடைகின்றார். எந்த ஓரு கிரகமும் வக்கிர நிலையை அடையும் பொழுது தன்னுடைய உண்மையான போக்கினை மாற்றி நாம் எதிர்பாராத பலனை செய்யும். நாம் இந்த வக்கிர குரு பலனை பின்பு ஆராய்வோம். 1. குரு பெயர்ச்சி மற்றும் சனி பெயர்ச்சி பலன் நமது வாழக்கையில் சிறிய அளவே மாற்றங்களை கொடுக்கும் சக்தி உள்ளது. 2. அவரவர் தசா மற்றும் புத்தி பலன்களை பொறுத்தே வாழ்கையில் நிகழ்வுகள் நடைபெறும். 3. இந்த குரு பெயர்ச்சி பலன்கள் உங்களின் தசா மற்றும் புத்தி அடிப்படையில் சற்று மாறுபட்டு நடைபெறும். 4. குரு பிறந்த ஜாதகத்தில் நல்ல விட்டில் இருந்தால், குரு பெயர்ச்சி நன்றாக அமையவில்லை என்றாலும் வாழ்க்கை நன்றாகவே அமையும். 5. நல்ல திசை நடந்து கொண்டு இருக்கும் பொழுது, கெடுதலான குரு பெயர்ச்சியால் பெரிய துன்பங்கள் நடக்காது. 6. கும்ப ராசியினருக்கு 2வது, 11வது கிரகம் அல்லது குருவின் திசை நடந்து அந்த கிரகம் துர் ஸ்தானங்களில் இருந்தால் சற்று பண விசயங்களில் சங்கடங்கள் ஏற்படலாம். 7. கும்ப ராசியினருக்கு 2வது வீட்டில் பாப கிரகங்கள் இருந்தாலும் அல்லது 2வது வீட்டு அதிபதி நீச்சம் அடைந்தாலோ அல்லது கெட்டு போய் இருந்தாலோ கொடுத்த வாக்கினை நிறைவேற்றுவதில் சற்று சிரமம் ஏற்படும். 8. கும்ப ராசியினருக்கு 2வது, 7வது, 9வது வீட்டு கிரகமோ அல்லது குரு அல்லது சுக்கிர திசை நடந்து அந்த கிரகம் கெட்டு போய் இருந்தால் குடுமபத்தில் சற்று குழப்பம் ஏற்படலாம். 9. கும்ப ராசியினருக்கு 3வது, 11வது வீட்டு கிரகம் அல்லது செவ்வாய் திசை நடந்து, அந்த கிரகம் துர் ஸ்தானமோ அல்லது கெட்டு போய் இருந்தாலோ சகோதர அல்லது நண்பர்கள் உறவில் சற்று பாதிப்பு ஏற்படும். 10. இந்த குரு பெயர்ச்சி கும்ப ராசியினருக்கு பெரிய அளவு பாதிப்புகளை ஏற்படுத்தாது. முடிந்த அளவு குரு நல்ல பலனையே வழங்குவார். 11 குருவின் பலமற்ற பார்வை 9வது, 11வது மற்றும் 1வது வீட்டில் விழுகின்றது. இதனால் கும்ப ராசியினருக்கு இந்த வருட குரு பெயர்ச்சி சாதகமான பலன்களையே தரும். 12. குருவின் பரிகாரம் செய்யும் பொழுது இந்த குரு பெயர்ச்சியால் வரும் துன்பங்கள் குறைந்து இன்ப சூழ்நிலை நிலவும். குரு பரிகார முறைக்கு எங்களது www.jothidapariharam.blogspot.in என்ற வலைதளத்திற்கு வாருங்கள். படித்து பயன் பெறுங்கள். 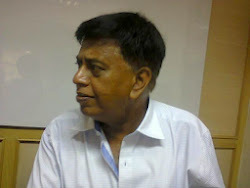 மேலும் உங்கள் ஜாதகத்தை சரியாக கணிப்பதற்கு Author Meganathan. G ஐ தொடர்பு கொள்ளுங்கள். வெளி நாட்டில் வசிப்பவர்கள் Pay Pal மூலம் பணம் செலுத்தி ஜாதகம் பற்றிய முழு விபரங்களை பெற்று கொள்ளலாம். "GURU PEYARCHI PALANGAL FOR KUMBHA RASI (AQUARIUS SIGN)"
The Guru makes the transit from Rishaba rasi (Taurus sign) to Mithuna rasi (Gemini sign) on May 31st, 2013 at 08:00 am (Friday) as per the "Thirukkanitha Panchangam". The transit of Guru into the Mithuna rasi marks the presence of Guru in the 5th house for the Kumbha rasi (Aquarius sign). The Guru has the lordship of 2nd and 11th house for the Kumbha rasi (Aquarius sign). Both the houses are neither malefic nor benefic too. The Shani (Lord of Makara rasi) and the Guru treats each other as equals. They neither maintain friendly ties not treat the other as their opponent. Here the transit (Peyarchi) of Guru into Mithuna rasi makes the Guru to be placed in a benefic 5th house. The Guru becomes weaker in the Mithuna rasi, because it treats the Budha (Lord of Mithuna rasi) as its foe. How far does a weak Guru can give benefits to the Kumbha rasi? Is the Guru payarchi beneficial or not for the Kumbha rasi (Aquarius sign)? The Kumbha rasi (Aquarius sign) may experience mixed results after the transit of Guru into Mithuna rasi. Also the Guru gets eclipsed from 08.06.2013 and remains eclipsed till 02.07.2013. Hence the Kumbha Rasi (Aquarius sign) would not be able to get any favorable results during this particular period. The Guru becomes Vakri @ it moves in a retrograde manner from 08.11.2013 to 21.02.2014. During this time, the entire behavior of Guru becomes unpredictable. Now let us see the Guru Peyarchi Palangal for Kumbha Rasi for the Year 2013. The Kumbha rasi (Aquarius sign) would experience reduced level of profitability from their income sources. This could bring few set backs on their financial positions. The Kumbha rasi (Aquarius sign) would enjoy positive changes on their family issues; still it falls short of their expectations. The Kumbha rasi (Aquarius sign) are likely to feel that a vaccum has created on maintaining their ties with their elder brothers/sisters. The Kumbha rasi (Aquarius sign) would be successful on maintaing ties with their family members. The Kumbha rasi (Aquarius sign) would find their profits level getting increased. The financial position moves slightly towards a satisfactory level. The Kumbha rasi (Aquarius sign) would face unprecedented drop in their profitability levels that could affect their financial position too. The ties with elder brother/sister remains inactive. The family issues do not go along the expectation of the Kumbha rasi (Aquarius sign). The Kumbha rasi (Aquarius sign) are likely to see few improvements on the profits and also on the financial position. The Kumbha rasi (Aquarius sign) will have to work hard to improve the ties with the family members, but would get few positive results only. The Kumbha rasi (Aquarius sign) would start to feel positive changes on their financial position due to increased profitability on their income sources. The family situation remains positive too. 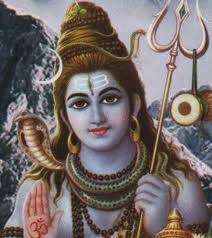 The Kumbha rasi (Aquarius sign) would be able to honor their committments. The Kumbha rasi (Aquarius sign) would again face few hurdles in retaining their profit margins that could slightly impact their financial position. The Kumbha rasi (Aquarius sign) would come across some disagreements and disappointments on their family and financial issues. 1. The results should not be read in isolation, as it could differ from person to person. This results should be read along with your Mahadasa and Antardasa results. If you have good Mahadasa periods, then the results do not trouble you much. But on other hand, if your Mahadasa period is itself bad, then it will add to your exisiting worries. 2. The Vakri Guru results would be posted later. 3. In general, the aspection of the weak Guru on the 9th, 11th and 1st will bring sufficient amount of relief on the family and the financial position for the Kumbha rasi. The Kumbha rasi (Aquarius sign) do not face any major problems after the Guru Peyarchi during this year 2013. 4. The Kumbha rasi (Aquarius sign) would not face any major problems in the Year 2013 - 2014 due to the transit of Guru Peyarchi into Mithuna rasi. 5. The Kumbha rasi (Aquarius sign) may not be comfortable with the issues concerning their children or may develop uneasy relationship with them. 6, The family elders may not turn positive with the Kumbha rasi (Aquarius sign) natives. 7, The Kumbha rasi (Aquarius sign) students are likely to face few obstacles in their studies. Followings persons would be troubled too much, if they do have the following graha position. 1. Persons undergoing Guru Mahadasa and Guru has the ownership of malefic houses. 2. Persons undergoing Guru Mahadasa and Guru placed in any malefic houses. 3. Persons undergoing Rahu or Kethu Mahadasa and Rahu/Kethu placed in Dhanusu and Meenam rasi with Guru getting placed in malefic houses or owning any malefic houses. The Kumbha Rasi (Aquarius sign) are advised to do pariharam for Guru, to minimise the negative effects and also to maximise the positive effects of Guru in 2013. For methods of doing pariharam for Guru, please visit www.jothidapariharam.blogspot.in.